Attracting leads and converting them into customers is key to maintaining and growing a business. This is true whether you’re a one-person shop or work for a multinational. Before we get into specifics around how to design sales leads forms, let’s get a more strategic view of sales leads. In today’s mobile world, your customers expect near real-time responsiveness. Online forms are the best way to capture sales leads on your website or through social channels. Responding first can be the biggest driver in closing a sale whether your business provides window cleaning services, strategic consulting, or financial advice. ...and 23% of the companies never responded at all! One of the most striking findings was that “the average response time, among companies that responded within 30 days, was 42 hours.” Put yourself in your prospects’ shoes. Would you want to have to wait almost 2 days to hear back on an inquiry? You can have an appliance delivered from Amazon in that time! Are companies asleep at the wheel? Those figures are even more mind-blowing when you consider how quickly leads go cold. A separate HBR study across B2C and B2B organizations found that “firms that tried to contact potential customers within an hour of receiving a query were nearly seven times as likely to qualify the lead (which we defined as having a meaningful conversation with a key decision maker) as those that tried to contact the customer even an hour later—and more than 60 times as likely as companies that waited 24 hours or longer. To be able to react quickly, companies need platforms that help them stay on the tip of their toes. Wufoo makes it easy to get notified when someone submits your form (new entries) or when a user in your Wufoo account adds a comment to an entry (new comments). You can easily set up email and text notifications in Wufoo to ensure that you can respond to sales leads in almost real time. Which sales leads forms should you use? There are many types of sales leads forms you can build and use. You can set up sales lead forms enabling interested prospects to share their information so you can contact them or to have their names added to email lists as an exchange for high value content. The possibilities for forms are really limitless and Team Wufoo has built 400+ online form templates to inspire you and get you started. You should check them out today! Now that we’ve established the importance of jumping on and responding to new leads and we’ve shown you how Wufoo helps you do it, here’s a meaty breakdown of 8 best practices for building great online forms that will maximize your lead capture. Although often overlooked, an online form’s name and description are crucial. How often do you see “Contact us” or even an empty form name or description? Put yourself in your prospect's shoes and think about the anxiety they may feel about sharing their contact information with you. I recommend creating a form name and description that addresses their concerns and persuades them to take action. Ensure you use these fields to communicate the value you’ll provide and why users should share their information. Including your form at or above the fold is almost always a best practice. Think about it: Everyone visiting a webpage sees what is at or above the fold while fewer visitors will scroll down a page. 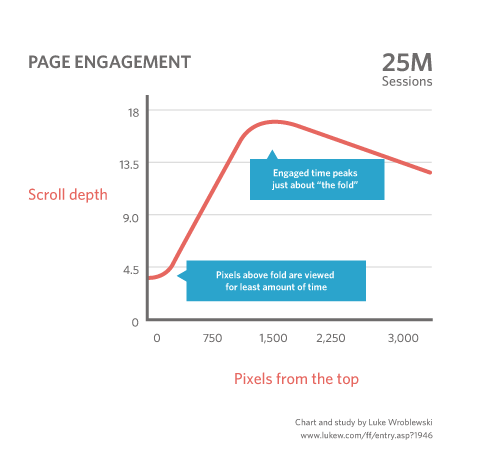 Luke Wroblewski, a Google Product Director, shared in his blog that most page engagement happens just above the fold, so it’s OK to have part of your form below the magic line. As with any best practice, there are exceptions. Sometimes you need to persuade your prospects about your value and about how you can solve their needs. In this case, placing your form below and surfacing your value above it can result in higher conversions. CrazyEgg captured the concept of AIDA (attention, interest, decision and action) in this helpful blog post. The number of fields you include on a form depends on your business needs. 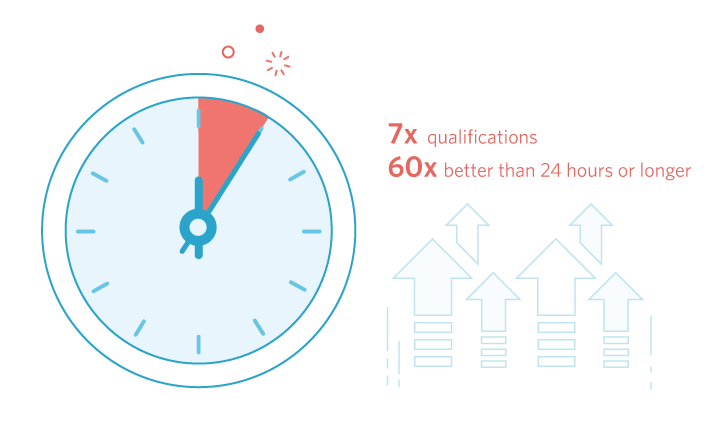 Email marketing leader Eloqua did some research and identified that 7 is the ideal number. Use this as a general rule of thumb: In some cases, adding more than 7 fields could be essential to addressing an inquiry with a meaningful response, like an estimate for a landscaping project, a website redesign, or other services. To find your number, define the minimum amount of information you need from a prospect to efficiently respond to them and serve their needs. Requiring too many fields can result in dropouts while not asking for enough information can distract your team with too many unqualified leads. Pro tip: You should also consider adding Auto CAPTCHA to your form to prevent spam entries. Wufoo’s auto CAPTCHA feature only requires the use of CAPTCHA when our service senses that a bot may be interfacing with your form. Consider ways to eliminate unnecessary friction from your form. Think and clearly communicate which fields are optional vs. required. Neil Patel made an important point to “always label optional fields, not required ones.” This will help you collect essential information while allowing your prospects to volunteer more if they’re inclined to do so. A good way to create a more transparent data collection process is to include your terms of service and privacy statement in your form. We’re big fans of user privacy and security: Wufoo makes access to your terms of service, rules and conditions very convenient for your users. You can use the easy approach to link to your terms of service or use ‘scrollText’ to embed the full text of your terms of service right on the form. In the sales game, ‘calls to action’ are your bread and butter. Use clear, relevant and action-oriented text, like in the 31 inspiring examples shared here by Hubspot. Wufoo makes it super simple to customize your form navigation buttons with CTAs that can drive your business forward. Centralize and simplify lead management through integrations with your CRM and email service providers (ESP). If you’re using Wufoo to build your email list, you should take (literally) 2 minutes to integrate Wufoo with your ESP. You can then use your email provider’s list management features to allow your customers to opt-in and opt-out of communications. (We hate spam as much as you do.) Wufoo offers pre-built integrations with lots of leading email vendors including Campaign Monitor and MailChimp. An integration with your customer relationship management solution helps you capture your customer interactions over time to better serve your customers. Wufoo is easy to integrate with Salesforce, the market-leading CRM solution. If you collect users emails, send them a confirmation email thanking them for sharing their information. It’s good manners and it provides your business with another positive impression that confirms that you now have the user’s email address. You can use Wufoo’s email and text notifications to be alerted the moment a prospect submits a new lead form. Wufoo also provides the option to send email notifications to different people by adding email addresses in our email notification settings. Ready to jumpstart your sales lead efforts? Here are some forms to do just that.. Everything you need to know to start a profitable conversation with a sales lead and potential customer can be found right here in our forms! Wufoo is an easy-to-use online tool that allows anyone to create and build online forms–no coding or programming required. And Wufoo hosts and stores everything, so you don't have to worry about where your forms or data will live. You can completely customize the look and feel of your forms using our Theme Designer by choosing colors to fit your brand or theme, as well as adding your company's logo or your wedding colors to your forms. You can even use one of more than 400 form templates in our Form Gallery to jump start creating your forms, or look at our Examples to see how you can use Wufoo in your company. Wufoo partners and works with loads of other applications, allowing you to accept data and information through your forms and send it to other applications that your company uses. We have integrations with applications like MailChimp, Dropbox, Zapier, Salesforce, WordPress, and more.